MOSCOW, February 10. /TASS/. The report that Venezuela’s state oil company PDVSA has opened its new accounts in Russia’s Gazprombank has nothing to do with reality, a spokesman for the credit organization told TASS on Sunday. "The report by Reuters agency does not correspond with reality. 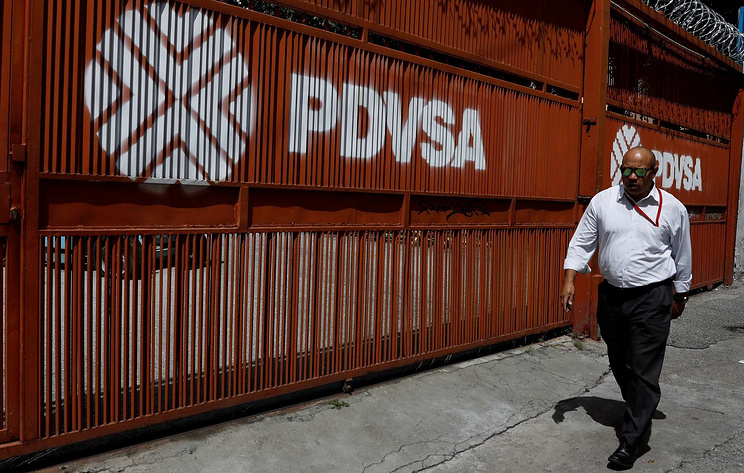 As one of the world’s major oil companies, PDVSA opened accounts in many large banks, including international ones. Several years ago PDVSA opened accounts in Gazprombank Group as part of cooperation with several Russian companies, which are the bank’s clients. But we stress that no new accounts were opened and are planned to be opened in the bank," the spokesman said. On Saturday, Reuters reported citing sources that PDVSA (Petroleos de Venezuela, S.A.) is telling customers of its oil joint ventures to deposit sales proceeds at an account at Russia's Gazprombank. Reuters said PDVSA's move follows new US financial sanctions imposed on January 28 and aimed at blocking President Nicolas Maduro's access to Venezuela's oil revenue. Juan Guaido, Venezuelan opposition leader and parliament speaker, whose appointment to that position had been cancelled by the country’s Supreme Court, declared himself interim president at a rally in the country’s capital of Caracas on January 23. On the same day the United States recognized him as an interim president, and the countries of the Lima Group (excluding Mexico) and the Organization of American States followed suit. Venezuela's incumbent President Nicolas Maduro blasted the move as an attempted coup and announced cutting diplomatic ties with the United States. On February 4, most European Union member-states recognized Guaido as Venezuela’s interim president. Russia, Belarus, Bolivia, Iran, Cuba, Nicaragua, El Salvador and Turkey voiced support for Maduro.